At one time, Americans looked at aromatherapy as a fad. Today, it is widely accepted as an effective way to treat various health conditions. So much so, that an increasing number of healthcare facilities and medical schools have their own clinical aromatherapy programs. They aren’t the only ones taking advantage of aromatherapy’s benefits either. With high quality devices like the new ZAQ Mirage diffuser, non-medical personnel can enjoy them too. So what is the new ZAQ Mirage diffuser? Simply put, it’s another way to safely infuse the air with skin nourishing moisture and healing scents like neroli, lavender, rosemary, lemon and sandalwood. It differs from the other top-notch, electric powered, ZAQ diffusers though. This one can hold an impressive 150 ml of water. That means that users won’t have to refill it as often as the other ZAQ diffusers. In addition to having a high water capacity, the new ZAQ Mirage diffuser sports a unique, 8.0” x 4.3” profile that could easily cause people to mistake it for a piece of modern art. So that really makes it stand out above and beyond the other electric diffusers too. It also comes equipped with multiple LED lights, an automatic shut off feature, A/C adaptor and enhanced dispersion capabilities. Together, they make the new ZAQ Mirage diffuser perfect for use at any time of the day or night. Furthermore, the addition of the LED lights’ settings makes it possible to use the diffuser as part of color therapy programs as well. So that’s another plus to consider when choosing aromatherapy supplies. To experience the new ZAQ Mirage diffuser for yourself, please contact us at Bombay Electronics. We are currently running a great 5% off promotion and offering free shipping on orders over $25. 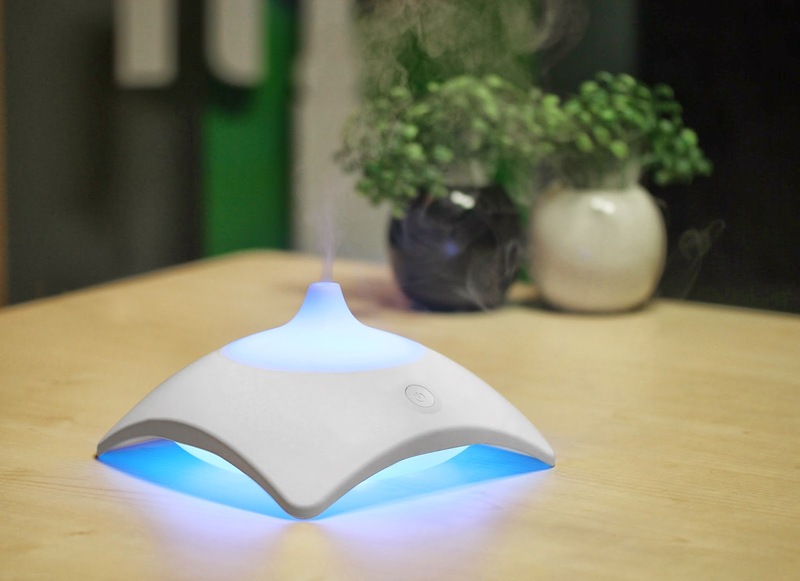 So if you act now, you’ll be able to enjoy the latest ZAQ Mirage diffuser for less.